Recognize this car? You should. 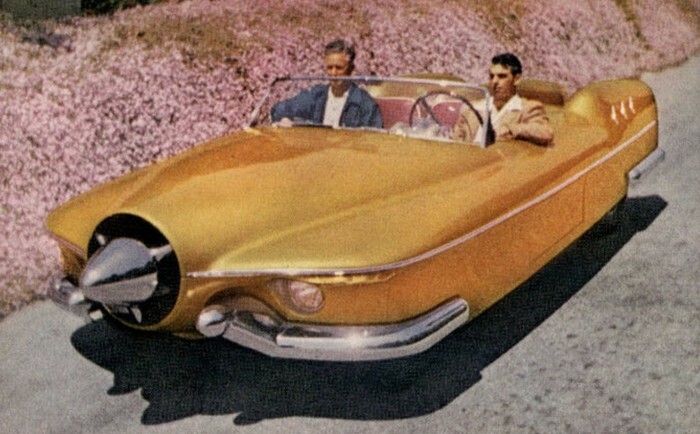 It was the Motor Trend cover car from July 1953! Its creators were Glenn Hire and Vernon Antoine of Whittier, California clearly took inspiration from their jobs in the jet aircraft division of the North American Aviation Company and applied it to the Manta Ray. 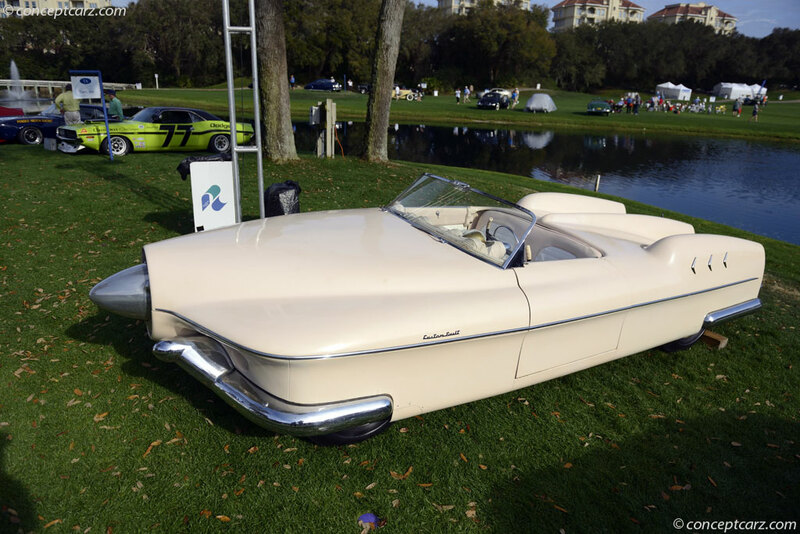 As many other futuristic builders of its time, the 1951 GM LeSabre concept car inspired Glen and Vernon when they designed their outrageous creation. The Manta Ray is a fiberglass bodied Sport Custom. This one-off started life as a 1951 Studebaker Commando and retains its running gear. The stunning 14-piece body is all hand-laid fiberglass and took 4,200 hours of work to complete the car. Power came from the stock 1951 Studebaker V8 engine that came with the donor car. 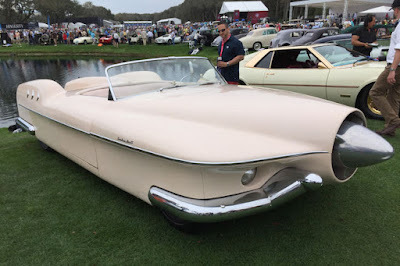 Glen and vernon were more interested in the appearance of the car than performance, therefore the 1951 Studebaker engine and chassis were left alone. The frame side rails were shortened 3" though. 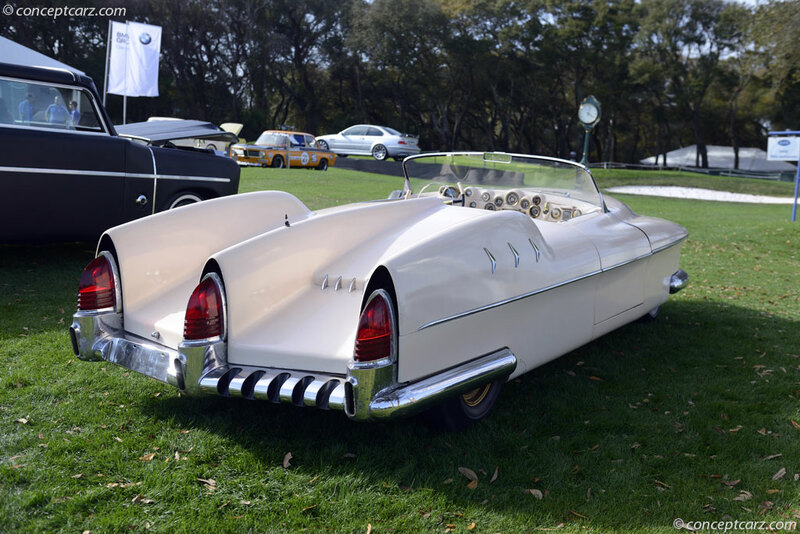 The bumpers were handmade out of Hudson parts, and the taillights came from a Lincoln. Once completed, the Manta Ray stood 40 inches high, had a 112 inch wheelbase and weighed 1,000 pounds. 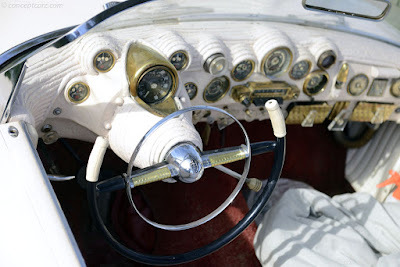 The car featured Stewart-Warner instruments and a Plymouth speedometer grouped around a cone shaped steering wheel housing with a 1953 Lincoln steering wheel attached. It had no deck lid, but the seats could be tilted forward for storage. The gas tank filler neck was hidden under the center tail light. Upon completion, the car was painted a metallic golden shade of lacquer.